Enhanced metaldehyde stewardship launched for 2017 | Get Pelletwise! Speaking at the launch event, Simon McMunn, spokesman for the Metaldehyde Stewardship Group (MSG), explained why the campaign has evolved, and what this means for UK agriculture. “It’s important to note that water stewardship remains vital and is still very much at the heart of the campaign,” he explained. “However, an issue that’s distinct from the water quality is that metaldehyde products are undergoing re-registration. And the regulatory risk assessment, which forms part of this process, has revealed a requirement for increased protection of birds and small mammals. “Because of this, stewardship is now a CRD-agreed condition of metaldehyde product availability and regulators will be monitoring the campaign success closely. The MSG highlighted four stewardship steps that should be implemented. “Firstly, there is a new guideline for 2017 which states that no pellets should be allowed to fall within a minimum of 10 metres of any field boundary or watercourse,” explained Simon. “The buffer was previously six metres and it only applied to watercourses. However, increasing it to 10 metres of all field boundaries will help protect birds and small mammals, and provide additional protection to water,” he added. “Factors such as soil and stubble management, planting methods, weather, trapping and monitoring should all be considered as part of slug control programmes. And, if treatment is necessary, it’s imperative to refer to the full set of MSG guidelines,” he added. “A field’s soil type, topography and proximity to a water course are key to whether metaldehyde applications could be a risk that will subsequently impact drinking water quality, and should always be considered. “And, last but not least, we want people to stop and think ‘B.I.R.D’ before applying. This stands for Buffer, I’m legal, Records, and Dose. Speaking at the event, David Ellerton of Hutchinsons endorsed the role of stewardship. 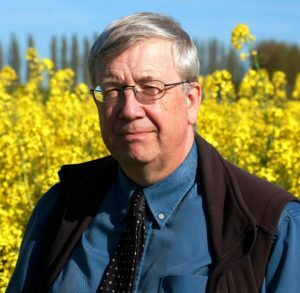 “I firmly believe that stewardship is one of the core reasons that metaldehyde is still available to farmers and it’s a credit to the work of the MSG and the agricultural industry over the past nine years. 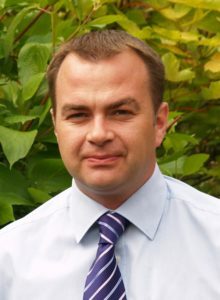 “In common with all the agronomy organisations, Hutchinsons is fully behind the enhanced campaign and I will be personally spreading the best practise messages in my role as the firm’s Stewardship Champion. The MSG has clarified that labels on packs of slug pellets remain unchanged for 2017. However, the group is clear that the highlighted steps should be implemented with immediate effect.